it’s loud, it’s dirty, it’s RED DRAGON CARTEL! (New York, NY – January 21, 2014) – Red Dragon Cartel have been making waves since the band announced the release of their upcoming debut last year. Now, the band made up of guitar legend Jake E. Lee, bassist Ronnie Mancuso, singer D.J. Smith and drummer Jonas Fairley are unveiling their debut video for the song “Deceived.” The song comes from their soon-to-be-released Frontiers Records album Red Dragon Cartel out on January 28th. The video for the song can be seen at and fans that pre-order the album digitally on iTunes at http://smarturl.it/reddragoncartelreceive the song as an instant download. The album is also available for pre-order on Amazon.com at http://amzn.to/1aYjMng. Jake E. Lee is best known for his work in Badlands and as guitarist for Ozzy Osbourne on Bark at the Moon and The Ultimate Sin albums. Red Dragon Cartel also features various guest appearances from some of music’s most notable faces including legendary Cheap Trick vocalist Robin Zander, original Iron Maiden vocalist Paul Di’Anno, Kill Devil Hill/Pantera bassist Rex Brown, Sass Jordan, Slash’s Conspirators Todd Kearns and Brent Fitz and In This Moment front woman Maria Brink. The album was produced by Ronnie Mancuso and Jake E. Lee and was executive produced, mixed and mastered by Kevin Churko (In This Moment, Ozzy Osbourne, Five Finger Death Punch). 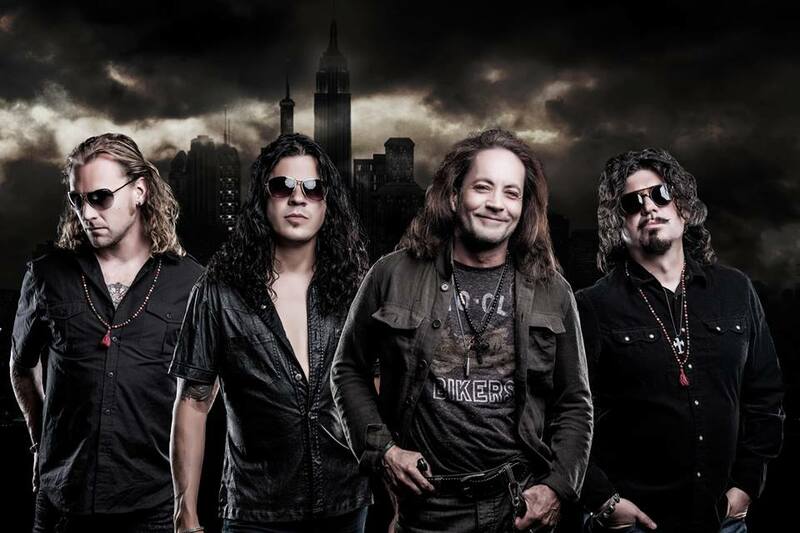 Red Dragon Cartel will be hitting the road in the road in March to showcase Jake E Lee’s return to the world. The tour kicks off March 5th in Tempe, AZ and runs all the way through April 6th, where it wraps up in Seneca, NY. The tour will make stops in Oklahoma City, Houston, Raleigh and Philadelphia to name a few. The band will also be heading over to Europe where they are confirmed to perform at this year’s Download Festival in Donnington, England and the famed Sweden Rock Festival. More dates are being added around the world as the band looks to bring the music of Red Dragon Cartel to every corner of the globe. From the opening riff of “Deceived” to final sustained piano chord of “Exquisite Tenderness,” it is clear Red Dragon Cartel has created an album that stands amongst some of the greatest hard rock albums of all time. Infectious songs such as “Shout It Out,” “Wasted” and “Slave” showcase the band’s ability to write memorable hooks and vocal melodies. Robin Zander of Cheap Trick lends his voice to the track “Feeder” and a lyric video for the song can be seen athttp://tinyurl.com/FeederLyricVideo. Maria Brink of In This Moment lends her unique vocals to the track “Big Mouth.” Paul Di’Anno and Sass Jordan also lend their talents to the band’s debut. Jake E. Lee’s trademark playing style instantly shines through and picks up right where he left off. It’s funny how things work out. I heard rumors of the return of one of my favorite guitarists Jake E. Lee and here I am writing a review from an advance copy of his new project Red Dragon Cartel. 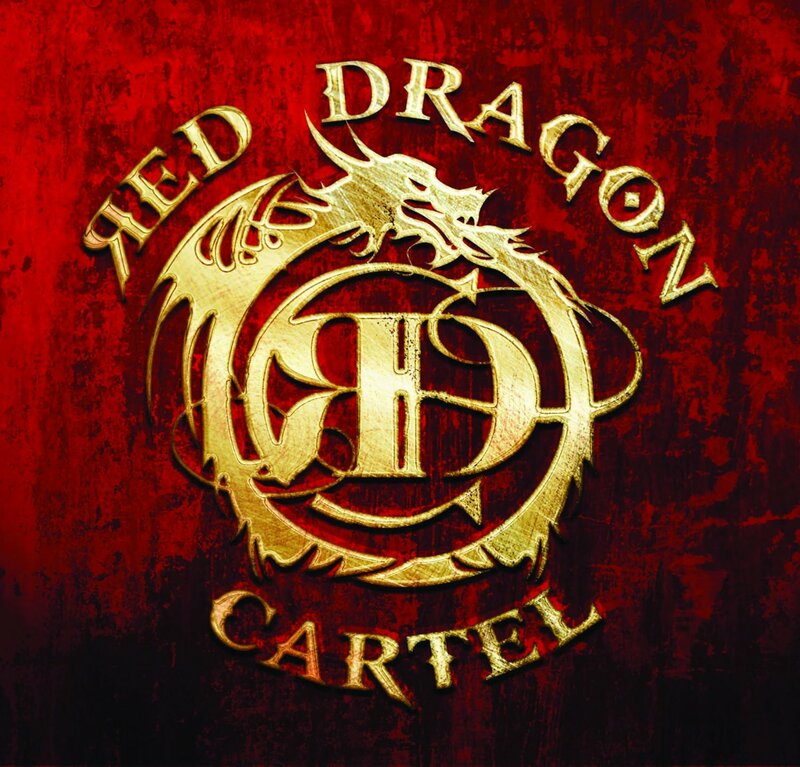 The self-titled debut from Red Dragon Cartel is poised to be a contender for one of the top releases of 2014. I have been waiting a long time for some new stuff from Jake E. Lee and this release does not disappoint. Don’t expect to hear something like the stuff he did with Ozzy or Badlands, this is an entirely new entity. The guitar playing is easily identifiable as Jake, but there’s something new and fresh to his playing. Jake, it seems, has come out of exile and the world has gotten a little brighter in his doing so. The Red Dragon Cartel project came to be when Jake joined forces with session guitarist and Beggars & Thieves bassist Ronnie Mancuso. Jake appeared in a Beggars & Thieves video for the track “We Come Undone” which sparked an outcry for new music from Jake. The chemistry was right and the sparks started flying. Ronnie shares Hideout Studios with producer Kevin Churko (Five Finger Death Punch, Ozzy Osbourne) who was asked to be the executive producer for their new “project”. The pair then searched for a singer and drummer and came up with a couple of Canadian musicians, vocalist D.J. Smith and drummer Jonas Fairley. The Cartel was complete and worked commenced on the record. Magic was made and the music world got an adrenaline injection to the heart. The CD opens with “Deceived” and a guitar riff that is immediately identifiable as Jake E. Lee. I f you didn’t know anything else about the track you would know it was Jake playing guitar. This one is a fist pumping song that the crowd can get behind . I can already hear the crowd shouting out the chorus in unison, ahhh the power of music. We are also introduced to the powerful voice of Darren James Smith who is a great fit in this band. Ronnie Mancuso and Jonas Fairley provide and excellent rhythm section to the track. “Shout It Out” features guest drummer Brent Fitz (Slash, Theory of a Deadman, Alice Cooper, Vince Neil, Union, The Guess Who, Lamya, Streetheart, Harlequin, Econoline Crush) and again is a head nodding track that will surely be a crowd favorite live. “Feeder” features guest appearances by Cheap Trick members Robin Zander and Tom Petersson, and drummer Jeremy Spencer (Five Finger Death Punch). This track has a retro feel, kind of trippy sounding and one of my favorites on the record. Very cool to see the Cheap Trick guys part of this amazing body of work. “Fall From The Sky (Seagull)” again features Brent Fitz on drums has an ethereal feeling to it. There are great vocals and melodies to be found right here. The feelings that Jake invokes on the solo just fill you up with so much positive energy and emotion. “Wasted” features vocals from my favorite Iron Maiden vocalist Paul Di’Anno and again Brent Fitz on drums. The music fits right around Paul’s vocals like a glove. This song has a classic hard rock song but with a modern edge to it. Thumbs up on this one. Guitar is smoking on this, love the talk box in it (you gotta listen for it). “Slave” features some killer bass from the man Rex Brown (Pantera, Kill Devil Hill), drums again from Jeremy Spencer and background vocals from Kane Churko (Modern Science). Killer groove and powerful track with great riffs. “Big Mouth” features guest vocalist Maria Brink and guitarist Chris Howorth (In This Moment), Kevin Churko (production of: Ringo Star, Ozzy Osbourne, Simon Collins, In this Moment,Five Finger Death Punch, Slash, Hinder, Gemini Syndrome, Modern Science, Shania Twain) on drums and vocals. This is the “grooviest” track on the record and the vocals from Maria give it good vibe. “War Machine” features guest bassist Scott Reeder (Kyuss, The Obsessed, Sun And Sail Club) and Louie Merlino (Beggars & Thieves) on backing vocals. This is the longest (6:11) and heaviest track on the record. Reminiscent of older Sabbath this is easily my favorite track on the record. I find myself getting lost in the track time after time. Jake provides a doom laden groove all the way to full on shred in this one. “Redeem Me” features guest vocals from Sass Jordan and bass from Todd “DAMMIT” Kerns (Slash, Age of Electric, Static In Stereo, Sin City Sinners). Sass provides some soulful vocals over a solidly built track. “Exquisite Tenderness” is an instrumental piano piece. This is the first piece that Jake E. Lee ever composed as a child. I find it in good taste that they included it here. It gives insight to the beauty that was to come from the mind of Jake in the future. While I love all of the guests on the album (I think it’s a cool move to bond with your fellow musicians) I can’t wait to see how the core band of Jake, Ronnie, D.J., and Jonas bond and make all of the songs their own. Ronnie Mancuso is a solid songwriter and player and that is quite evident on this record. Jonas holds his own on the kit backing these heavy players. Darren James Smith shows his vocal versatility here, going from smooth vocals to in your face raw power. I am hoping that they continue to grow and develop into band that will be around for a LONG, LONG time. I would give this album 15 stars out of 10, it’s that good. Jake E. Lee is back in a big way and I’m glad. it’s loud,it’s dirty, it’s the RED DRAGON CARTEL!! !